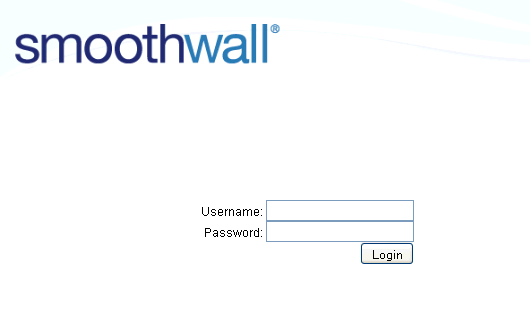 The following assumes you have installed your Smoothwall. For a detailed description of how to do this, see Using the Quick Installation Method or Using the Advanced Installation Method. 2. Accept the Smoothwall’s certificate. The login screen opens. • Username — Enter admin. This the default Smoothwall’s administrator account. • Password — Enter the password you specified for the administration account when installing the Smoothwall, else enter smoothwall This is the default password. 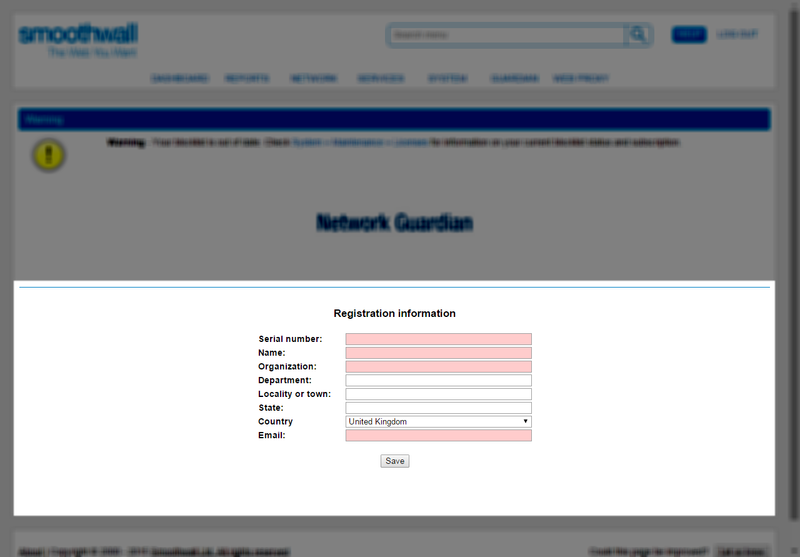 If your Smoothwall has not been registered, you are prompted to provide registration information. • Serial number — The serial number you received. Serial numbers are not case sensitive and can be entered with or without spaces. 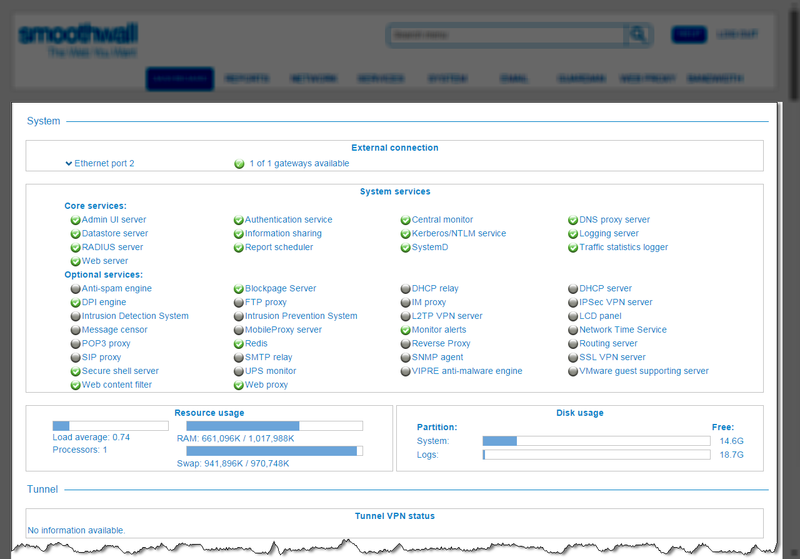 If you do not have a serial number, contact your Smoothwall representative or, visit http://www.smoothwall.net/ for more information. • Name — The name of the administrative contact person for the Smoothwall. • Organization — The name of the organization in which the Smoothwall will reside. • Department — The name of the department in which the Smoothwall will reside. • Locality or town — Location information for the Smoothwall. • State — Regional location information for the Smoothwall. • Country — The country in which the Smoothwall will reside. • Email — The email address of the administrative contact for the Smoothwall. This should be a valid and actively used email account. 7. When prompted, review the information supplied. Click Confirm. 8. From the Initial setup section, select the relevant Timezone. 9. From the Initial web filter policy setup section, select the relevant web filter. Note: The Smoothwall attempts to register with our registration servers approximately every 5 minutes. A Warning appears at the top of the page advising registration is being attempted. You can force registration by clicking the Retry registration request button. Note that this may not be successful if there is a problem with the configuration on the Interfaces and DNS pages. For more information, see About the Dashboard .